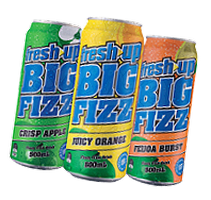 Soft drink can vending has been around for decades and continues to be one of the most popular products we sell. Aluminum cans are easier to recycle and, because cans take up less space then bottles, they are perfect for high traffic vending machines where space is of value. Our vending machines are also designed NOT to shake up your drink either. See our soft drink cans list below. 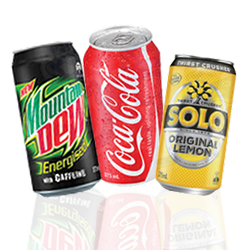 You can also request your favourite canned soft drink also.